Fully revised and updated, this award-winning book vividly portrays the full spectrum of the diving experience. Its authors share the adrenaline rush of observing great white sharks in a feeding frenzy, the fascination of exploring a coral-encrusted wreck, the exhilaration of finding yourself enveloped by the 'wings' of a school of manta rays, and the enchantment of snorkelling over exquisitely coloured coral reefs. Aimed at divers, photographers and all those lured by the hidden wonders of the seas, this magnificently illustrated book transverses the globe, focusing on 75 world-class dive sites in waters as diverse as the icy Northern Atlantic and the tropical seas of the Pacific. The locations range from remote unspoilt offshore reefs accessible from live-aboard cruisers to well-frequented sites with popular resorts. The informative text describes the main features of each site, the quality and uniqueness of its marine life and notable attractions on land, as well as covering practicalities such as underwater visibility and site accessibility. Consultant Jack Jackson is an advanced BS-AC diver who ran a sport diving operation and a diving boat in the Sudanese Red Sea for 12 years. He has written numerous articles and books on diving, including titles on Malaysia & Singapore, Philippines, Aruba, Bonaire & Curacao for New Holland's Globetrotter Dive Guide series. 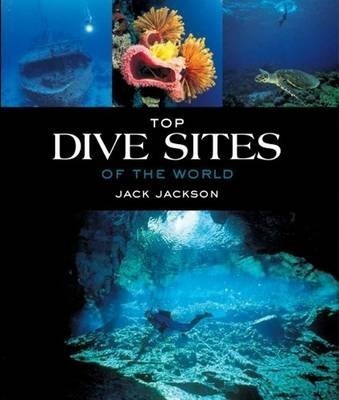 Top Dives Sites of the World features contributions from leading dive writers including Jack Jackson, Lawson Wood, Guy Buckles, Nick Hanna, Paul Naylor, Wade Doak, Fred Dembny, Jurgen Warnecke and Friedrich Naglschmid. Over 300 worldclass images were selected from the work of prize-winning photographers such as Lawson Wood, Mark Strickland, Jack Jackson, Patrick Wagner, Geoff Spiby, Peter Pinnock, Linda Pitkin, Danja Kohler, Kelvin Aitken, Rebecca Saunders and others, including the files of international photographic agencies.